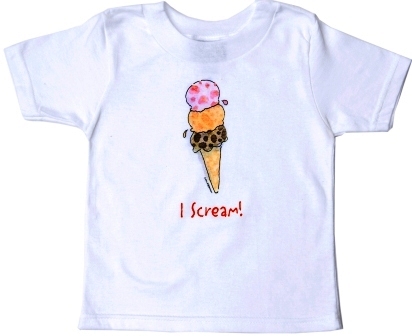 These shirts are perfect for triplets! 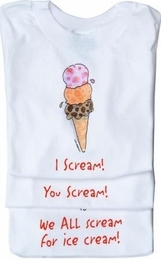 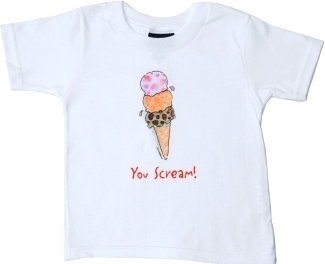 Includes 3 short-sleeved shirts, each with a triple scoop of ice cream and a different "scream" on each shirt! 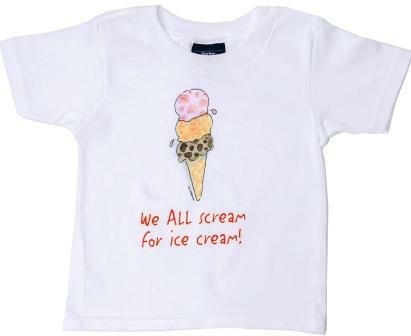 Shirt #3: We ALL scream for ice cream!